Fibromyalgia: “pain in the muscle fiber,” is a term for deep muscle pain that lasts for more than six months and includes sleep disorders, brain fog, mood swings, and exhaustion or anxiety. Chronic Fatigue Syndrome: This is distinguished by muscle and joint pain, mental and physical exhaustion unrelieved by rest, poor immune response, depression, sudden-onset flu-like symptoms, and post-viral fatigue. 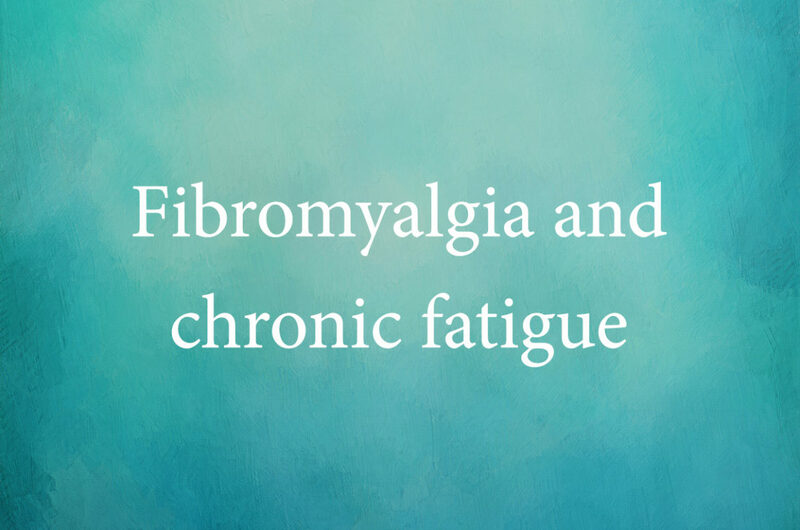 Fibromyalgia and Chronic Fatigue are complicated conditions. Each person has a unique set of symptoms that need to be addressed in an individual way. Our approach is unique in that we approach these multi-faceted conditions with individualized sessions, establishing that right timing and proper sequence of healing for each client. The BodyTalk System has the ability to approach these complex disorders, addressing the poor immune response, the chronic mental and physical fatique, and the deep muscle pain. Fibromyalgia and Chronic Fatigue ultimately stem from stress so our approach will serve to calm and inhibit the nervous system while supporting the body’s ability to repair and recharge.